GST registration certificate, verification of invoice prepared under GST law, input tax credit availed as per GST law and job work transaction, to be taken care of while conducting the GST Audit . 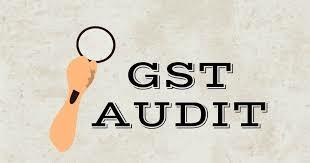 Generally, it is assumed by the auditor that the GST registration certificate is okay and most of the auditors generally does not verify the same, however, it is most important to check and verify all the details specified in the GST registration certificate. Another important part to be analyzed by the auditor is invoicing under GST. GST Invoice having all the particulars as prescribed under rule 46 of the Central Goods and Service Tax Rules, 2017. It is important to verify that the invoice number reflected in the tax invoice is as per rule 46(b) of the Central Goods and Service Tax Rules, 2017. Verification of time of issuance of tax invoice needs to be done. In case of a job-work transaction, the registered person is required to file FORM ITC 04 on a quarterly basis, and filing of the same needs to be confirmed. Should NGOs Register Under GST ? This entry was posted in Goods and services Tax and tagged GST.